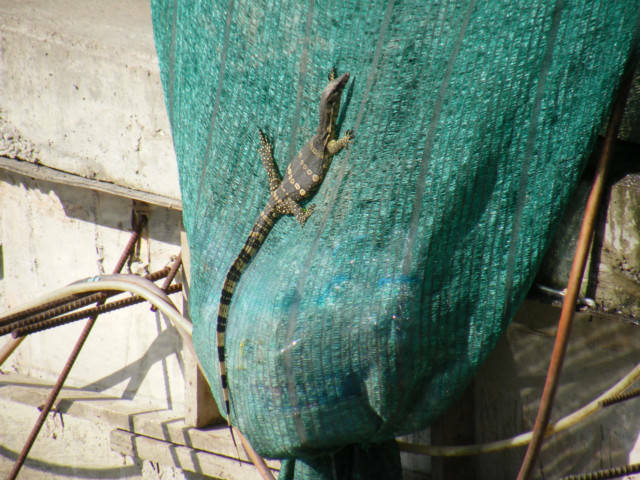 This is a big lizard, just diagonally across form the Diamond Hotel at the bridge near Khao San Road. This baby is huge, and live under that big sack. I have seen it two times now while roaming the area. This bag is full of cans from the street restaurant, I THINK… Suspicious way of having the bag… maybe easy to accidentally open. 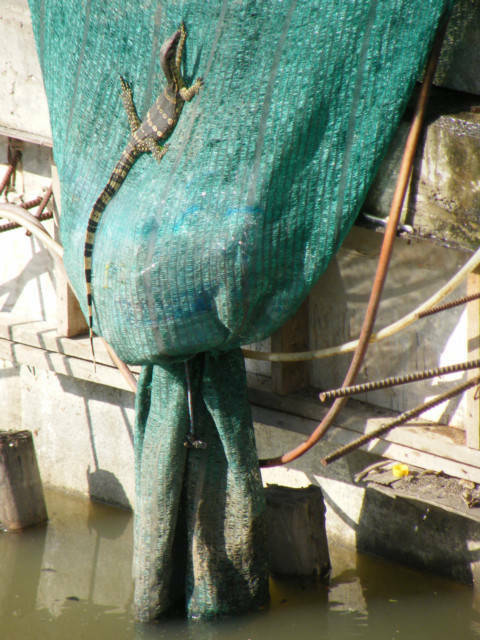 Nonetheless, the lizard lives behind this sack, on the canal, river or whatever this murky water thingy is near Khao San Road. If you walked out of the Police Station, looked at the Wat and turned right you could continue to walk until you go over a bridge. Stop and buy an ice coffee at the 7-11 and then go to the bridge, when you get to the Bridge cross the street, it look…. It is the same side of the street as the Wat.